Last night President Trump delivered his second State of the Union address. He spoke a lot about how his administration is making progress for working people, but the facts speak differently. Instead of discussing how to advance the needs of working families, make the economy more just or even fully fund the government, President Donald Trump chose to tout empty promises and attack scapegoats. Denied a pay check to 40% of the federal workforce through the longest government shutdown in history. 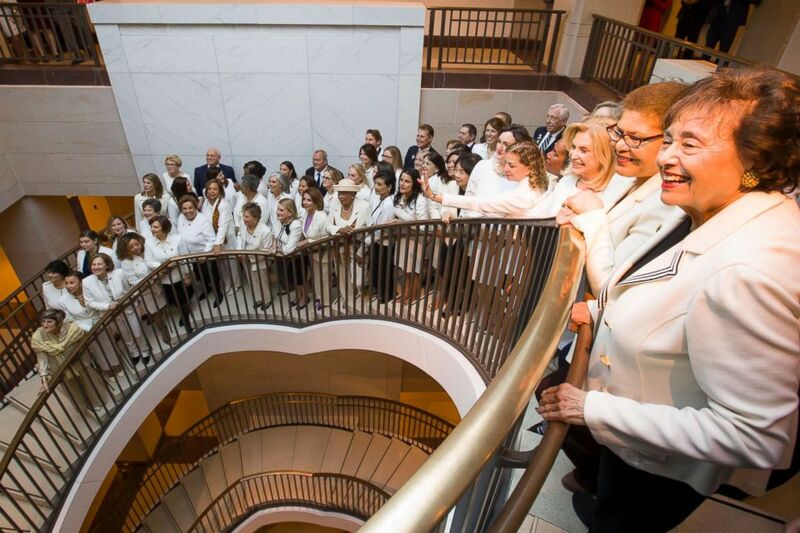 Congresswomen attending the State of the Union dressed in white, a gesture to show solidarity with the women’s suffrage movement. This year marks the 100th anniversary of Congress passing the 19th Amendment, guaranteeing women the right to have their voices heard through voting. The color choice was also a symbol of a more recent milestone. There are more female lawmakers in the 116th Congress than ever before: 102 female members of the House of Representatives and 25 female Senators. The connection between suffrage and this year’s Congress is powerful: 100 years after women won the right to vote, over 100 women are members of Congress. After attending the State of the Union, National AFL-CIO President Trumka shared his response. Click here to watch the video. In another historic moment, Stacy Abrams delivered the Democratic response to the State of the Union, becoming the first black woman to do so. Click here to watch her speech. As Black History Month kicks off, the AFL-CIO celebrates our commitment to fighting for black workers who make up such a crucial part of our union movement. As we honor those who came before us, the labor movement is fighting to ensure that everyone enjoys the right to earn a fair return on their labor. The average black man earns 70% of what the average white man makes, while black women earn just 82% of their white counterparts. By next year, the median white household will hold 86 times more wealth than the median black household. These inequalities are a big reason why black workers are joining unions by the thousands: 12.5% of our movement is black. We have a chance to create real change in Oregon by fighting against workplace sexual harassment and discrimination through common sense changes to state law. 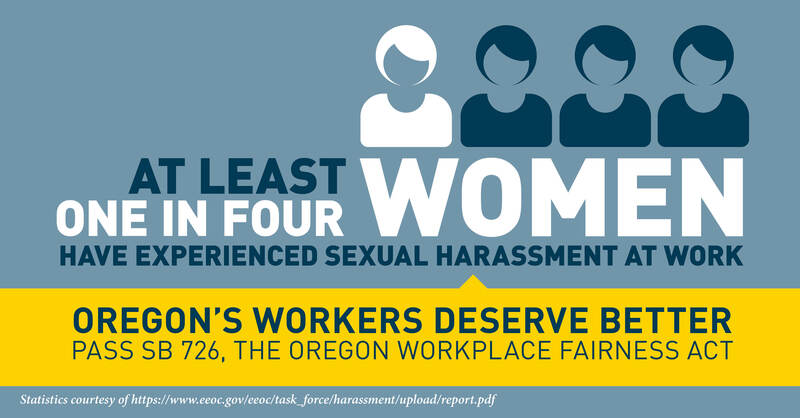 Following the bravery of women sharing their stories through movements like Time’s Up and Me Too, Oregon’s lawmakers will soon consider the Oregon Workplace Fairness Act, which would change our state’s law to better protect workers. At least one-in-four women has experienced some form of sexual harassment or discrimination during their career, but few file formal complaints or speak out about their experiences. Stories of workplace sexual harassment and discrimination are going to be a critical step in passing the Oregon Workplace Fairness Act. Our lawmakers need to understand the reality of women who are victims of sexual harassment and discrimination. We are asking you to share your story to be used as anonymous testimony to help inform the Oregon State Legislature. Submitted stories will be anonymous but viewable by anyone via the Oregon Legislative Information System website. The more stories we have, the more powerful our message will be. Nothing connecting you to your story will be submitted.